$logo The path to the logo image, as defined in theme config­ura­tion. $sit­e_n­ame The name of the site, empty when display has been disabled in theme settings. $sit­e_s­logan The slogan of the site, empty when display has been disabled in theme settings. $mis­sion The text of the site mission, empty when display has been disabled in theme settings. $sea­rch­_box HTML to display the search box, empty if search has been disabled. $pri­mar­y_l­inks An array containing primary navigation links for the site, if they have been config­ured. $sec­ond­ary­_li­nks An array containing secondary navigation links for the site, if they have been config­ured. $left The HTML for the left sidebar. $bre­adc­rumb The breadcrumb trail for the current page. $title The page title, for use in the actual HTML content. $help Dynamic help text, mostly for admin pages. $mes­sages HTML for status and error messages. Should be displayed promin­ently. $tabs Tabs linking to any sub-pages beneath the current page (e.g., the view and edit tabs when displaying a node). $con­tent The main content of the current Drupal page. $right The HTML for the right sidebar. $node The node template file. $fee­d_i­cons A string of all feed icons for the current page. $foo­ter­_me­ssage The footer message as defined in the admin settings. $title the (sanit­ized) title of the node. $con­tent Displays either a list of node teasers (e.g. default front page) or the full content of one node. When combined with other contri­buted modules this variable may also printing out other “stuff” like a calendar or a list of catego­ries. $pic­ture The authors picture of the node. $links Themed links like "Read more", "Add new commen­t", etc. $name Themed username of node author. $terms the themed list of taxonomy term links.  $com­men­t_c­ount Number of comments attached to the node. $cre­ated Time the node was published formatted in Unix timestamp. I've been looking for something like this for a while. Many, many thanks!